At Dairing Events, we believe in an approach that is hands ­on with every client as we work together as a team to create a memorable event. From the moment you say ‘yes!’, we will be by your side and act as a guiding hand through the planning process. Our job is to be the curator of your dreams in order to make them a reality, in turn, creating a true reflection of your love story. Our weddings are not one size fits all. In order to design such highly personalized events, our packages are customized for each couple. The average Dairing Events couple invests $45,000+ in their celebration. 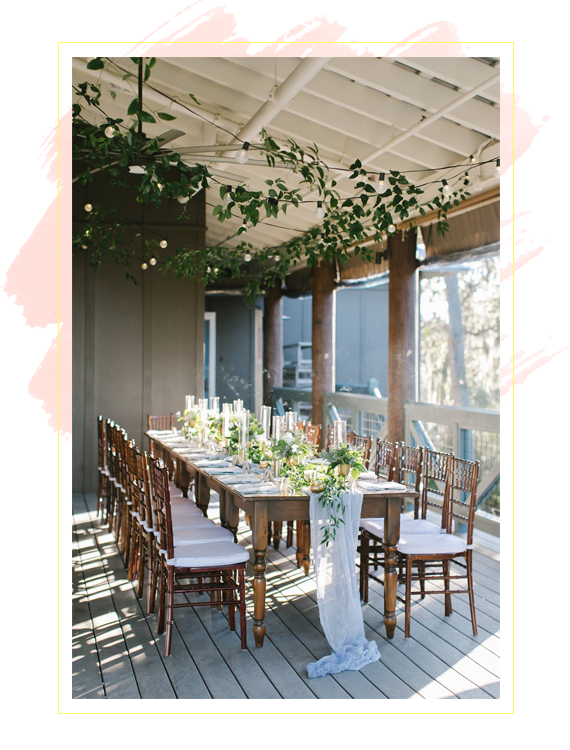 With each couple’s personality and budget in mind, our Dairing Events team pulls together an all­-star list of vendors ready to create wedding magic. The end result is a flawless and once in a lifetime event made especially for you and your guests. Ready to get started? I can’t wait to hear you gush over your fiancé, how you met, and all your dreams! Share a bit about yourself and your event via my contact form, and I’ll be in touch soon!